Clicking Here To Schedule a Time to Talk. One of the first things you should know about me is I do not do talk therapy! Why? I did this kind of work for a number of years and found people came to great insight but could not change their reactions or behaviors from insight. So I began to ask what else could help people make change. I discovered the content of the stories they told just rebooted pain and suffering while in the office, and people would leave with no change. We each have an innate wisdom within us and I love supporting people in realigning with and following their Authentic Self. Physical, emotional and psychological symptoms are telling us we are living in a way other than from who we really are. People often give up their connection with their truth, their innate wisdom when they experience emotional abandonment or neglect, or physical, emotional or sexual abuse, as a way to handle what they are experiencing. As children we form points of view of what is true based on family, culture, society, media, peer groups, professions, etc., to fit in. We give up truth for ourselves and take on the programming. The innate wisdom within us knows these choices, programs, points of view are not true for us, and signals us and everyone around us, ie: acting out, anxiety, depression and physical issues. My targets when I work with people are to assess their ability to be self aware, to teach self awareness tools if required, and put tools into the hands of my clients so they can make change for themselves, both during treatment and after. I create experiential activities in session so you can study how to tell what is true for you. I will be consistently referring you back to noticing the difference between programming and points of view you are operating from that are not you, and Truth for You. * Be willing to learn about yourself. * Be willing to let go of beliefs that limit you. * Practice tools you learn in session in your daily life. * Make yourself a priority so change can take place. * Stay focused on your treatment and achieved your targets. * Take charge of choosing differently for yourself even if everyone around you has a different perspective. The first time you come in we will get to know each other. I will share with you how I work, what my office policies are. 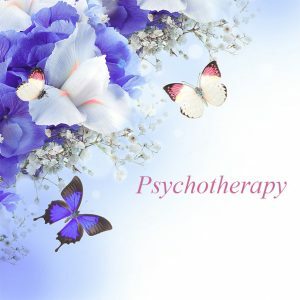 You will share with me what brings you to therapy, what experiences you have had in therapy before, and what you would like different in your life. I will give you an intake form to fill out and bring back next session. The second time we meet we will go over your intake form and I will ask more questions. Then we will develop a plan to address the issues you would like to target. I will share with you what tools I think will be helpful. There are three major part to the therapeutic process. The beginning phase of treatment will be about assessing what tools, resources and capacities you already have. I use experiential activities for us both to learn what you have. From here we will choose what modalities will be most effective. I will be teaching you tools you can use on your own, in between sessions, that will accelerate your treatment, and will build resources if required. If you have difficulty with managing overwhelm or emotions we will take time to help you develop tools for doing so. These are skills we are supposed to develop in early childhood. They provide a foundation for the rest of our lives. These skills give you the resources to make choices and follow through with action with a sense of confidence, knowing what is right for you. Think of it this way. If you build a house, the first thing you build is a foundation. If there is no foundation or it is built inadequately, at some point the house (your life) will fall off of the foundation and crumble. Once you rebuild your foundation you are prepared to rebuild you life in a lasting way. After we have completed assessment and resource building as required, we can move to systematically clearing limitations, belief patterns that limit you, and trauma experiences. There are a variety of options we can use during this phase of treatment. EMDR Therapy reprocessing is my first choice, and in some cases it is too overwhelming so I have other options as well. Often I will use other options until your nervous system gets to the place where EMDR Therapy reprocessing works for you and we switch. See more about EMDR Therapy under Tools That I Use. We start with Self awareness. To be successful at making changes you must be able to observe your physical, emotional and cognitive reactions. You will have to have dual focus (awareness of what you are currently experiencing and remembering a past event simultaneously) to be able to make change. Self awareness tells us both if you are able to dual focus, and if not I will give you the tools to develop your ability to dual focus. Self awareness also assesses your ability observe whether you are connected or not. Being fully and completely present and connected are precursors to making changes and for a healthy and joyful life and are absolutely required to treat trauma. 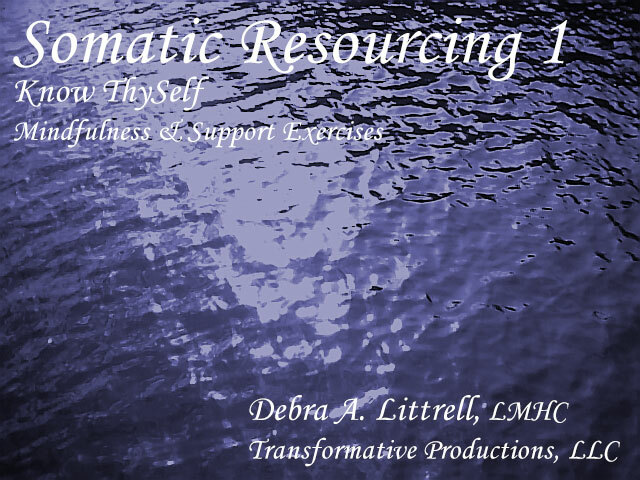 Somatic & Energetic Resourcing activities, ie: connection, centering, boundaries and containment are tools for identifying what resources you have and what is missing. The activities give you tools to build resources that may be missing or have been breached. Many people report amazing changes just with these activities. We will begin Somatic & Energetic Resourcing activities right away to star the assessment o what you already have and what might be missing. 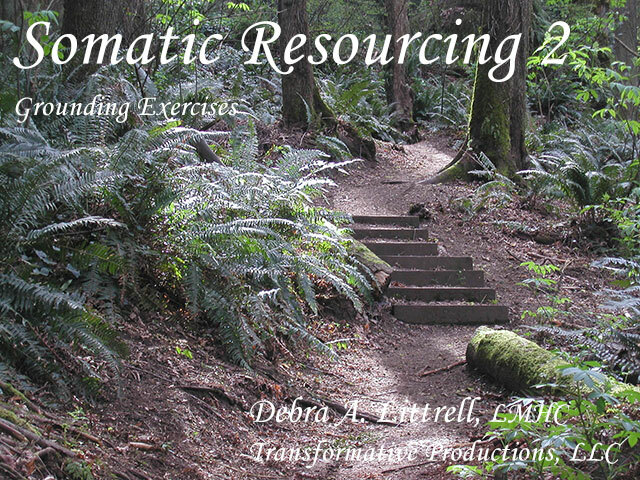 Somatic & Energetic Resourcing activities are somatic and experiential in nature, not visualizations or imagining. They are based on developmental milestones we are all suppose to have throughout our upbringing. In some cases we may have not developed them in the first place. In some cases we had them but life experiences breached them and they need to be rebuilt. You will experience a “felt sense” of how being connected feels, how you feel when your boundaries are working for you, and how you feel when you are centered. You will learn how changes in your physical structure will change your emotional and psychological state. You will have tools to use in your daily life to rebuild and/or maintain your resources. Once we move into resolving trauma or self limiting patterns, your ability to notice if you lose your connection will be crucial. If you are disconnected, trauma resolution will be other than effective and can cause you to feel re-traumatized. If you lose your connection with Self we can stop, reestablish your connection and then continue to work. You will learn much about yourself through these experiential activities. I have had clients make dramatic changes in their lives just from these activities. We will assess you ability to self soothe and build skills if needed. Self soothing is crucial for handling emotional challenges which may arise between sessions as we clear traumatic experiences or ingrained belief patterns. Trauma becomes stored our nervous systems when we become overwhelmed by an event. Having new life experiences, resources and self soothing tools when you target these old memories or beliefs allows you to revisit and clear the original experiences in a new way. You may still experience emotional upset for a short while and your new perspectives and tools will allow you to move through old experiences without overwhelm and reach resolution. EMDR Therapy is founded on the premise we have an innate inner wisdom which prompts us toward health and wholeness. EMDR Therapy is an approach to psychotherapy comprised of principles, procedures and protocols. It is not a simple technique characterized primarily by use of eye movements. EMDR Therapy is grounded in psychological science and is informed by both psychological theory and research on the brain. EMDR Therapy has 8-phases and 3- prongs. The first two phases (EMDR History Taking & Treatment Planning Phase and Preparation Phase) are crucial to success of EMDR Therapy treatment. I use Somatic & Energetic Resourcing and self soothing tools in the Preparation Phase and the beginning of the EMDR History Taking & Treatment Planning Phase. We will identify what life issues you would like to improve. We will assess your ability to feel safe during EMDR Therapy treatment. Because challenging emotional responses may come up, feeling safe with me and having an ability to tell me what you are experiencing are crucial. I act as a guide through the EMDR Therapy sessions and you, accurately reporting what you experience, allows me to guide you correctly. You will have to have good self soothing skills to use between session if challenging memories or emotions arise between sessions. In Phases 3 – 6, (Assessment Phase – Reprocessing Phases) standardized steps must be followed to achieve good results. EMDR Therapy is a process, not a technique, and unfolds according to requirements and resources of each person in the context of our therapeutic relationship. Therefore, different elements may be emphasized or utilized differently depending on the unique requirements of each person. The 3-prongs including clearing out all of the past memories that are related to the issue you are working on. Clearing all of the present triggers for that issue, and creating a future template of how you will handle similar circumstances in the future in a new and more adaptive way. 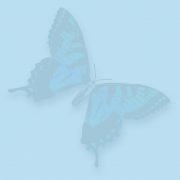 For more information on EMDR Therapy visit: EMDRIA’s website (EMDR International Association). I do 75 minute sessions and require you to attend weekly, especially at the beginning of treatment. I will give you tools to use on your own between sessions. Each session I give you more to integrate into your life. I have found that most people find it challenging to disrupt their old patterns and institute new ones so coming in irregularly has not worked. I have found people who attend irregularly or even every other work have not met their treatment goals. Real change requires focus and consistency. Once you are winding treatment down we can look at a less frequent schedule. If we are doing EMDR you must come to session the week after an EMDR session, especially in the early phases. Since you continue to process in between sessions old memories, feelings or thoughts can arise which may require targeting the next week. In some cases people have reported becoming overwhelmed so attendance the week after a session is mandatory to make sure we can settle things down. There are many factors which affect length of treatment. What resources you already have in your life and how your nervous system responds to treatment makes a difference. If you have had an extensive history of emotional abandonment and/or neglect or abuse therapy can take longer. How consistent you are with practicing the resourcing activities I prescribe makes a difference. How focused you are in treatment makes a difference. How consistent you are in attending sessions makes a difference. If you have financial limitations it may be best to set realistic goals for a limited number of sessions and return later to work on the next goal. How can you speed up treatment? 2. Practice daily the activities I prescribe. 3. Make time for yourself to integrate your new changes – make yourself a priority. 4. Make time to notice changes and make brief notes to share with me at your next session. 5. Stay focused on your treatment goals. Washington State and Federal Laws are very protective of patients rights. All of what you share in session is kept confidential with some exceptions. I am required to report child abuse/neglect, elder or those with developmental disabilities abuse or neglect, or if you commit or contemplate committing a crime (past or present). If I receive a subpoena for your records I can protest them being released but ultimately if a judge orders me to release them I have to. You may authorize me, in writing,am to release or share information to anyone, ie: a family member who will help your treatment, another health care professional to coordinate treatment. I do all communication with clients via telephone. I can be reached at 425-747-5774 (landline). I do get my voicemail regularly. I don’t use email with clients because it is not secure and my schedule is such that I am unable to get to email on any consistent basis. I return messages as soon as I am able during my regular business hours, or by the next business day. Messages left outside of business hours are returned on the next business day. If you are a client of mine and are having a clinical emergency and do not hear back from me in the time you require you can call the Crisis Clinic at: 206-461-3222 for assistance. Please Note: There is a charge (based on my usual rate) for clinical phone work. There is no charge for other business related conversations, ie: changing appointments. Any cancellation or rescheduling of appointments must be done via telephone. If you need to cancel or reschedule your appointment leave me a message. Please note: 48 hour notice is required or you will be charged for the appointment time. I am only in my office on Tuesdays and Wednesdays for Psychotherapy. Please make sure you can clear your schedule consistently for your appointments. Because I have a limited psychotherapy schedule I have to optimize the times available on those days. To schedule an appointment or be put on my waiting list contact me at 425-747-5774. Individual sessions are 75 minutes long and the charge is $185.00. You can receive the cash price of $175.00 if you pay by cash or check at the time of service (if your check clears with no problems). Full payment is due at the time of service. There is an additional $5 per day charge if payment is not received by 5:45pm the same business day of service. Clinical work via telephone or video conferencing is charged at the same rate as above. If your check is returned because of insufficient funds you will be charged for all NSF fees, redeposit fees and any other financial institution charges incurred on your check’s return. I am not on any insurance panels. Why don’t I take insurance? I have found the amount of time and money it takes for me to deal with insurance companies is just not worth it. I prefer to spend my time supporting and facilitating people in making changes in their lives. Also, insurance companies are moving more and more to “evidence based treatments” so are often 10-20 years behind the upcoming modalities. And, “evidenced based treatment” is only effective for about 60% of the population. It does not address the people who are excluded from studies, which they call outliers. I have always discovered treatments that are up and coming and have been eventually validated. Insurance companies dictate what tools I use for facilitation change that may not be effective in your case. I prefer not to be limited by the insurance structure. If you have an insurance plan that covers an out of network provider I can provide you with forms to submit to your insurance company so you can request reimbursement from them. You should call them in advance and find out find out what they cover and how many sessions they will cover so we can plan your treatment accordingly. It is important you tell me how many sessions your insurance will cover, particularly if you plan to stop treatment after your insurance benefit runs out. If you let me know we can come up with a treatment plan that fits the number of sessions you will be attending. Please know that I can only use tools sanctioned by your insurance company and the licensing boards, so what I can offer you in psychotherapy and within your insurance benefit will be based on their requirements. If you need more non-traditional approaches you can do Facilitation/Coaching instead (not covered by insurance). If you would like to save some time you can download the following forms, read them over, fill them out and bring them in with you to your first session. You will need Adobe Reader to open these PDF documents. You can download a free version of the Adobe Reader by clicking here. Please note: Make sure to uncheck the two boxes in the Optional Offers section so you only download the reader. * © Copyright 2005 - 2018 Debra Littrell - Transformative Spirit, LLC - All rights reserved.